A small, slender roan wolf with deep blue eyes. Has a darker-colored mask on her face and dark stockings. Thistle is a striking sight to be seen. With her silvered fur, even the roan-like patterns across her back and shoulders can't help her hide in most environments. Luckily, her small size negates that somewhat. For the most part, she is pale, with a dark mask and stockings. From a distance, this coloring lends her a soft, nearly ethereal look. Her eyes are a deep, dark blue, speckled here and there with lighter shades. Up close, it becomes clear Thistle's fur is heavily textured, thick and bristled. It has been since she was a puppy, and it is what she's named for, as well as her prickly personality. 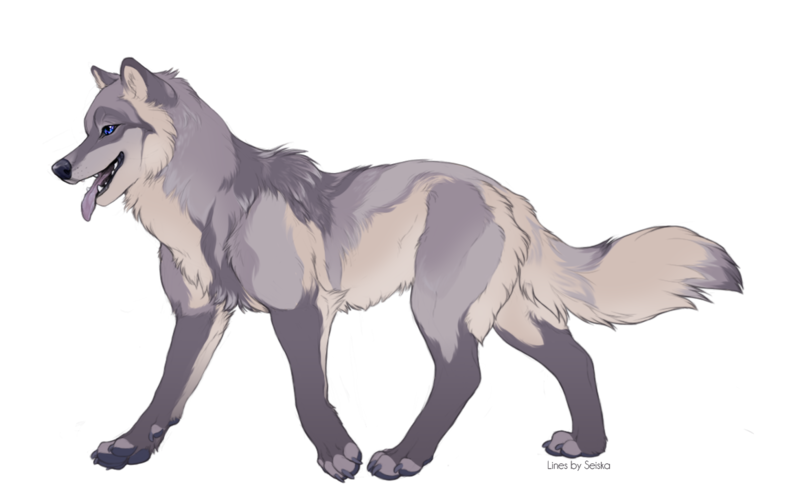 Her fur is thick, but short, and stands up on end easily with the smallest shift of muscle beneath her skin. Her scent is equally sharp, earthy with a lingering musk like the cold dew of a winter morning. Email: Send Thistle an email. Current time: April 21, 2019, 03:08 AM Powered By MyBB, © 2002-2019 MyBB Group.